SearchForecast is working with Virgin Gaming in identifying publishers from our AdSense Directory. VirginGaming is a new and innovative way to bet! Based in Toronto in Canada, you can challenge opponents to online games on your PS3 and Xbox 360. Once the game is completed, Virgin’s Game Validator™ automatically verifies the match results based on each players unique PSN ID or gamertag and will update each player’s account accordingly. Tournament play follows the same steps as head-to-head matches. Start using good lol rank boost to win a game! SearchForecast continues to build out exciting technology for optimizing content on search en gines. One of the key players on our technical team for the past three years has been Sham Haramalker who last year was married and has been instrumental in converting much of the architecture plans into code that drives our internal and client websites. 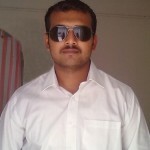 Sham is an expert in LAMP technologies and consistently innovative in open source code implementations. Now that he’s grown a moustache, he’s come of age and we hope he continues with his great work in 2011. Is that a mall in Your Pocket? In 1997, I wrote a book called “Successful E-Commerce”. The title was the promise of tomorrow. I had no idea then that e-commerce would be so huge. Today I read that Macy’s are put ting on an extra 700 staff to deal with online orders. The compound growth rates of the Internet Retail Top 500 is stupendous. Here at SearchForecast we’re investing in a new technology publishing platform to help clients produce local pages with control of how their brands and products are displayed. 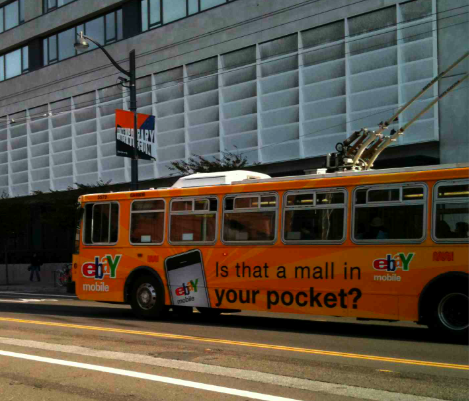 Tomorrow is about Mobile and the bus going down Townsend Street in San Francisco this morning says it all. Whether you like it or not, you do have a mall in your pocket!